My latest ghost mystery came out this year, with plenty of steamy romance to counteract any chilling scenes. HAUNTED SOULS was inspired by a trip to the Old Jail, a historic building on Cape Cod which is considered actively haunted. 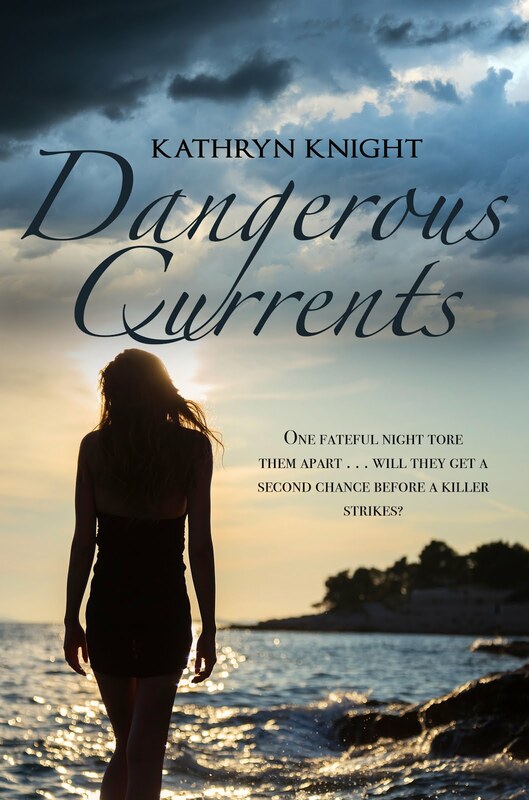 And the title has a double meaning, as Brett and Emily each have their own torturous choices and memories to overcome if they have a chance for a future together. Happy Halloween! 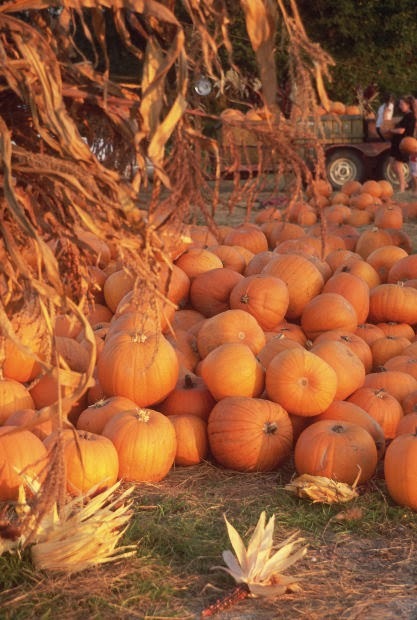 This is one of my favorite seasons—crisp air, crimson and gold leaves, hayrides and corn mazes, crackling fires, and a celebration of all things spooky. 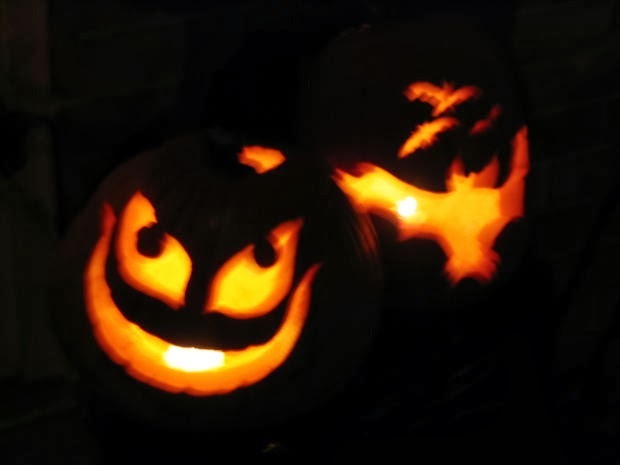 Halloween, or All Hallow's Eve, links back to the Celtic festival of Samhain, a time when the barrier between the paranormal and physical worlds grows thin. As a writer of ghost stories, it’s the perfect time for me to find new inspiration. 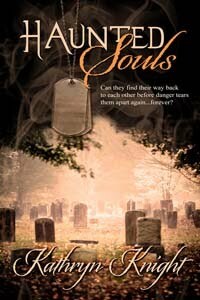 My latest release, HAUNTED SOULS, was inspired by a ghost tour I went on with my sister in Cape Cod’s Barnstable Village. This “Haunted Tour” offered a guided walk to haunted places and historical sites, and it started and ended at the Old Jail. top right window? And a red flash in bottom left. Goody Hallett, the lover of the infamous pirate Samuel Bellamy, was imprisoned there in 1716, and is said to be one of the ghosts in residence. If you’re so inclined, you can even pay to spend the night at the Jail. On our tour, we were shown photographs with shadowy figures taken by volunteers who work in the jail house. A few of the volunteers shared their stories as well, and one claimed that a ghost had followed them home and engaged in some poltergeist-like activities. Well, that got my attention right way, and my imagination started churning. My sister had her little daughter with her, and I started to wonder what would happen if a young child with sensitive abilities took pity on a lost soul, and actually invited a ghost to come home with them. The initial idea for my fourth novel was born. Of course, my stories also have a romantic element, and this one has been dubbed my steamiest yet (from a recent review at Romance 4 the Beach: “Hot damn these two are smokin' hot!”) So there are plenty of steamy scenes to counter the paranormal chills-up-your-spine ghost mystery. A perfect read for the Halloween season! no lights or electricity in there. 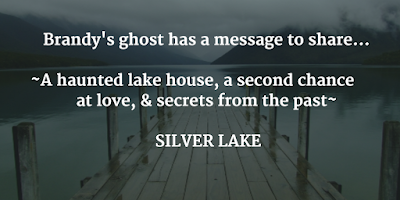 Two of my other novels, SILVER LAKE and GULL HARBOR, are also ghost stories mixed with romance, so as an additional giveaway, one commenter on my blog today will win a signed copy of the paperback of their choice ~ Silver Lake or Gull Harbor! To enter to win, comment below and be sure to leave an email address or twitter handle so I can contact you if you win, and don’t forget to enter the grand prize rafflecopter below for a chance to win the Grand Prize giftcard. Thanks for visiting my stop on the Haunting Halloween tour and happy haunted reading! October is always a busy month for me, since the majority of my novels include mysterious hauntings, and ghost stories gain an even wider appeal as Halloween approaches. 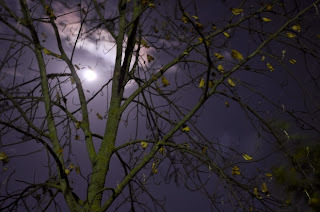 In fact, the history of Halloween, or All Hallow’s Eve, links back to the Celtic festival of Samhain, a time when the barrier between the physical and paranormal worlds grows thin. In the Christian religion, November 1st marks All Saints' Day, the day waiting souls would be released from earth. All Hallow's Eve, then, was considered the last night for restless spirits to take their revenge. 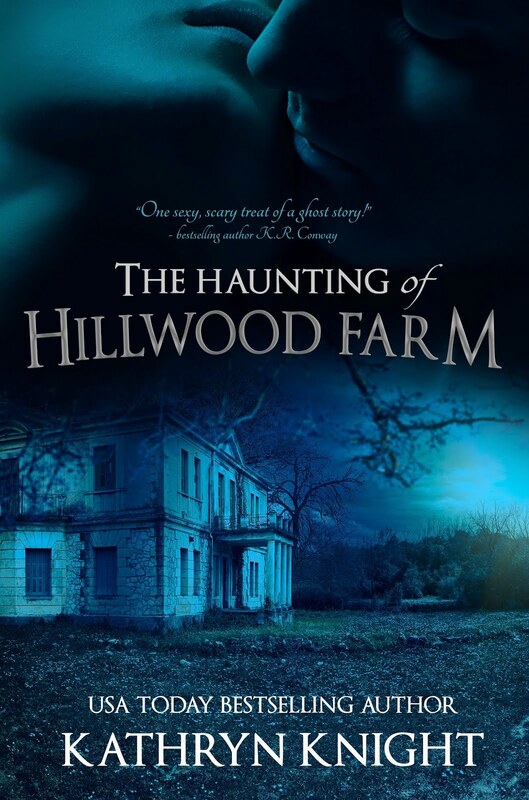 While there are plenty of desperate--and sometimes dangerous--spirits in my novels, they're not going anywhere until the mystery behind their haunting is unraveled...no matter what the time of the year it is. But this is the month to celebrate all things spooky, and I'm excited to have three presentations coming up in the next two weeks, each one a bit different, and each one at a different library on Cape Cod. 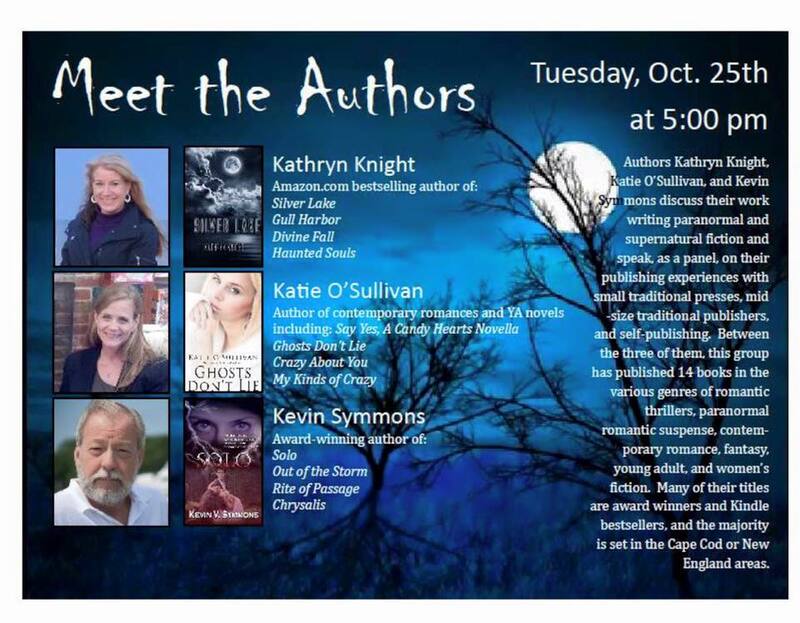 On Wednesday, October 19th, I’ll be with Katie O’Sullivan, a fellow Cape author, at the Hyannis Public Library on Main Street in Hyannis. 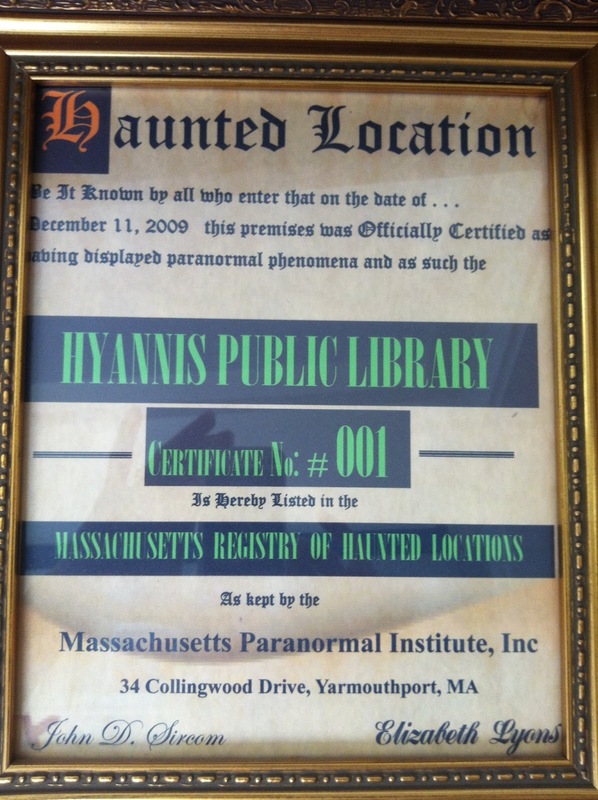 This is a wonderful place to have a discussion about history and hauntings, as during one of my prior events there, I learned the building has been deemed haunted by the Massachusetts Paranormal Institute. Parts of the building date back to the original house which became the library's permanent residence in 1908. 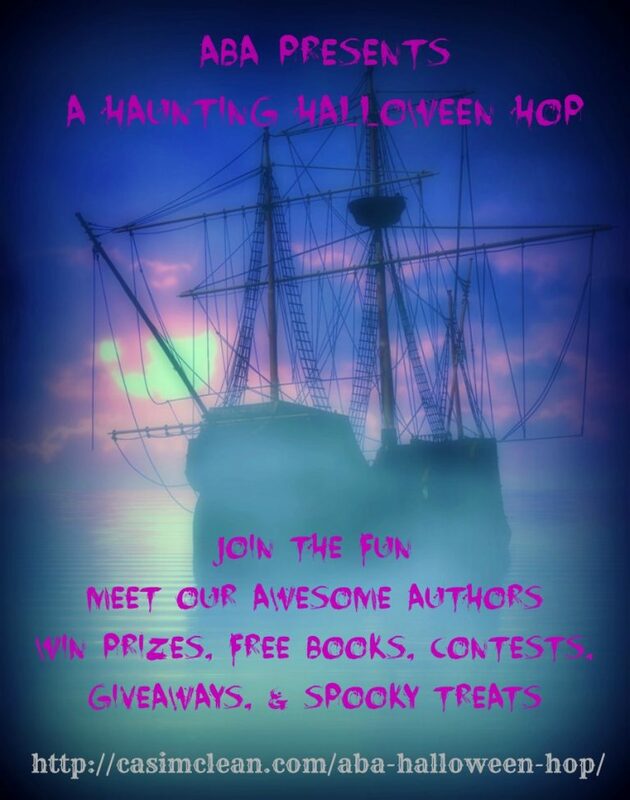 Katie and I will be there from 6:00 to 7:00 p.m., chatting about the inspiration behind our books, the local Cape settings, and the various paranormal elements we’ve included in our novels: ghosts, mermaids, and a half-angel, half-human Nephilim, to name a few. 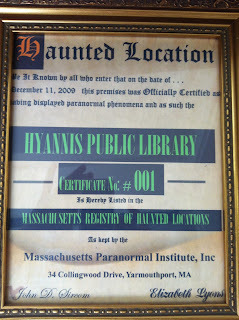 In addition, my latest novel, HAUNTED SOULS, is set in Barnstable Village, which is right around the corner. 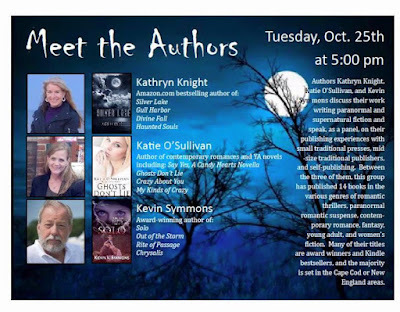 On Tuesday, October 25th, Katie and I will be joined by another local author who writes for our publisher, Kevin Symmons, at the Osterville Library at 43 Wianno Ave. in Osterville. We’ll do an author panel on spooky fiction, discussing not only supernatural and paranormal themes but also the dangerous human bad guys in some of our stories. We’ll be there from 5:00 to 7:00 pm, with time for Q&A and book signings. A photo I took of the Old Jail one evening. bottom left window as well. Right before Halloween weekend, I’ll be at the Mashpee Public Library, 64 Steeple St. right near the Commons, from 2:00 pm to 3:00 pm on Friday, October 28th. I’ll talk more in depth about the inspiration behind Haunted Souls: the Old Jailhouse, a structure built in 1690 and reputedly haunted. A visit with my sister sparked the initial idea for my fourth novel, and I’ll share the story as well as the story of my overall writing journey. Finally, I have some events for those who aren’t on the Cape…not one, but two, Halloween Bog Hops. If you’ve never done a blog hop before, it’s a great way to discover new authors, win prizes, and enjoy posts about the season…all online. 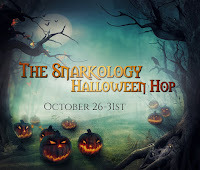 You start at one stop on the hop, which will be a blog with a seasonal post and a giveaway contest. My giveaways will be signed print book (either SILVER LAKE or GULL HARBOR) to my individual winner. A group link at the bottom of the post will take you to the next page on the hop, and you can make your way all the way around, entering the individual contests along the way. Each one also has an overall hop-wide giveaway with a Rafflecopter widget recording entries. I believe both Rafflecopters will have a grand prize of a large gift card. So be sure to stop back here between Oct. 24th and the 31st, and if you’re in the Cape Cod area, I hope to meet you at one of the events! and begins on Oct. 24th. I tend to do a lot of posting in October, since I’m a writer of ghost stories and other paranormal mysteries as well as a fan of all things spooky. I have 3 library presentations coming up and two Halloween Blog Hops with lots of prizes, plus the start of a new Fiction Class and a post from a private tour I received of some haunted places in Barnstable Village, the setting of HAUNTED SOULS. I need to finish up all those posts and get them out before the events. But I had to share my exciting—and somewhat unexpected—news about my debut novel, SILVER LAKE. 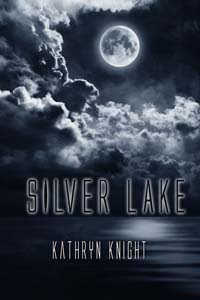 Last year, Amazon’s traditional publishing house bought the electronic rights to Silver Lake from its original publisher. Their Encore imprint acquires successful books that would do even better with additional promotion. It was an exciting offer and one I embraced enthusiastically. A few months after that, last fall, Amazon must have done a big promotion for the book, because it shot to #1 in its category. It was thrilling to see an older book receive that many downloads. This summer, a new program was in the works—PrimeReading, a promotion to benefit Amazon Prime members by offering some select Kindle books free. Silver Lake was chosen, with an advance royalty offered to participate. Again, I jumped at the chance…but I had no idea when the program would roll out. Well, as I discovered when I saw my first book climbing up its category again, it appears to have launched the other day. 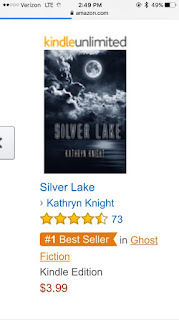 Silver Lake hit #1 in Ghost Fiction and I, of course, grabbed a screenshot of the shiny orange banner. Then I suddenly realized *I’m* a Prime Member too, and I went into clicking mode. A few of the books I’m looking forward to reading: My Sister’s Grave, Follow You Home, and Sleep Tight. Did I mention I like spooky suspense? Those titles say it all. 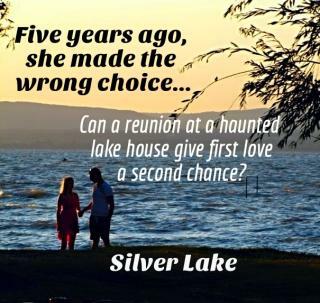 So if you’re a Prime Member (or enrolled in Kindle Unlimited), you can download Silver Lake for FREE! I’m not privy to all the details, but my understanding is this is a limited time offer for these particular titles. So go grab some new reads! 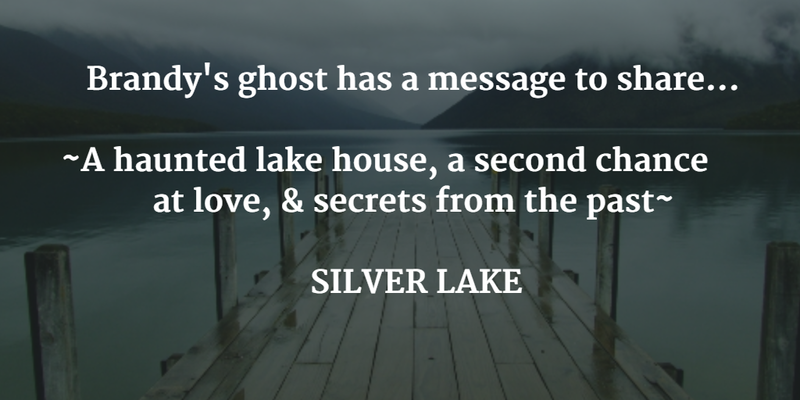 You’ll not only get spooky suspense (perfect for the Halloween season) from Silver Lake, but also a reunion romance. Happy Haunted Reading! I woke up this morning to an exciting sight: one of my novels, SILVER LAKE, was climbing its way up in the Amazon rankings—which means a lot of readers were clicking and downloading copies of my first novel. It took me a moment to figure it out, because I was only just sipping my first cup of coffee. Then I realized it had to do with a fantastic offer I’d received—and signed off on—over the summer. 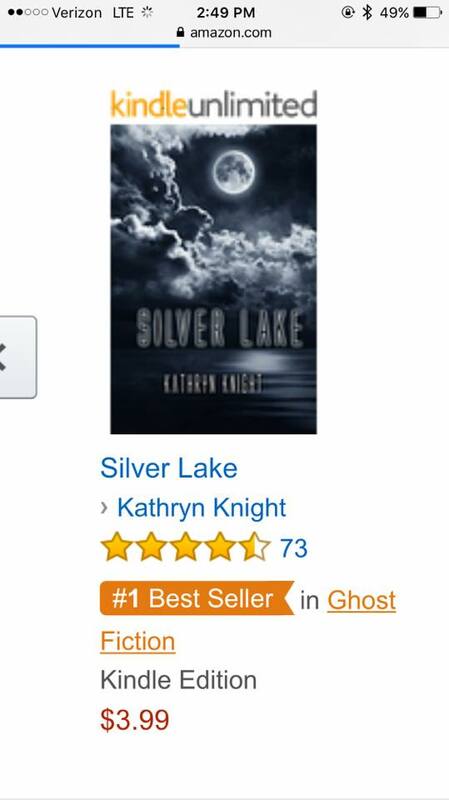 I knew Silver Lake was chosen for the PrimeReading promotion on Amazon, I just had no idea when it would launch. Well, it looks like it launched today! What this means is that if you’re an Amazon Prime member, you can download hundreds of books for FREE as a benefit to your membership. I can’t wait to check out the offerings, since I’m a member as well, and aside from writing, my absolute favorite pastime is reading. So if you’re an Amazon Prime member, or have Kindle Unlimited, check out a perfect read for the Halloween season: a ghost mystery mixed with a second-chance romance. 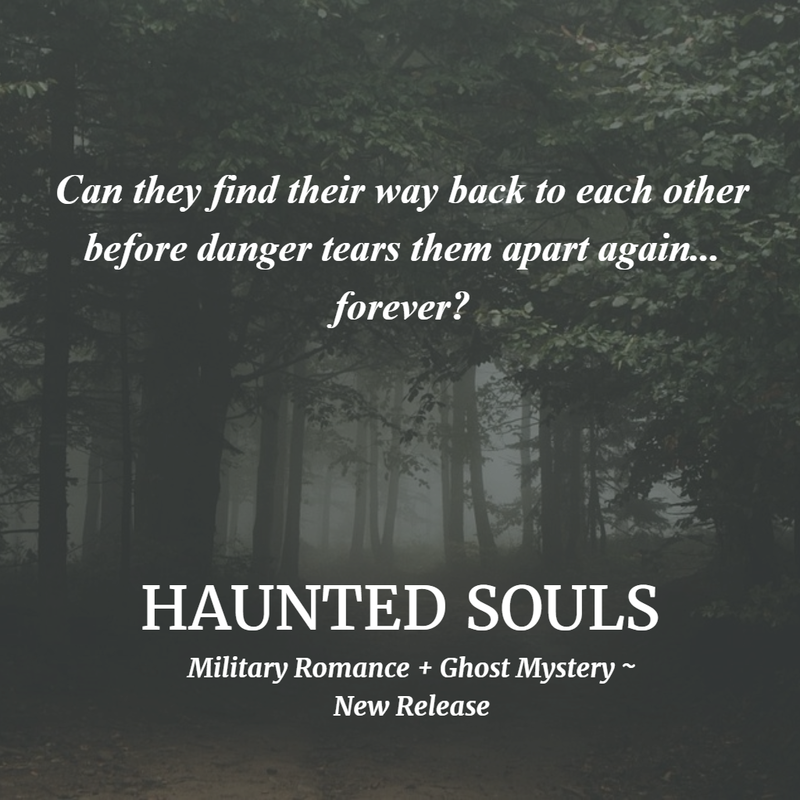 A haunting, an old flame, and secrets from the past collide in this paranormal romantic suspense, which, at the time of this post, has hit the #1 ranking in Ghost Fiction and earned an orange banner for the second time! Check out the links below to get your free reads—Happy Haunted Reading! 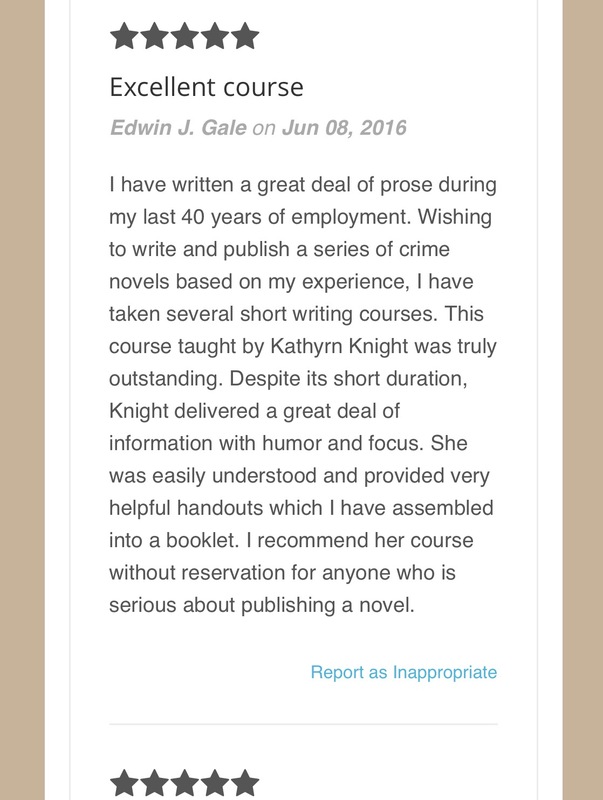 October is here, and the second of my fall Fiction Writing and Publication courses will begin in a few weeks. This is a 5-week, non-credit course held in the evenings, and while the Falmouth class is already underway, the Hyannis class, offered by Cape Cod Community College, begins on October 20th. If you're in the Cape Cod area, and writing is your passion, check out the information below! This class will begin on Thursday, October 20th, from 6:00 pm to 8:00 pm, in Hyannis. This is held right on Main Street in the Hyannis Center building (540 Main Street). The link for details and sign-up information can be found here: Center for Corporate and Professional Education at Cape Cod Community College. 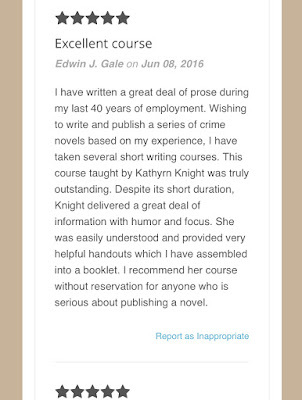 I’ve had really great reviews from past participants in both classes, so if you’re interested in writing a novel, this is a valuable resource to help you achieve your goals. 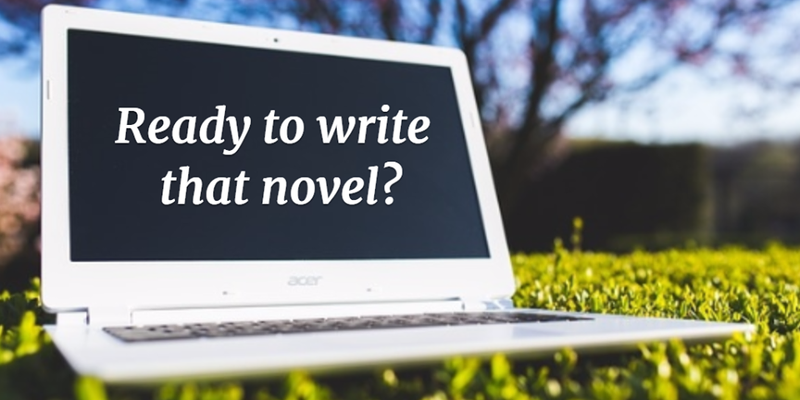 Writers at any stage are welcome, and no matter where you are in the process, you’ll find useful information to help you on your journey. The class descriptions can be found on the sites--hope to see you there! Halloween is one of my favorite times of year, and it’s always a very busy one for me as an author with paranormal mysteries in all my novels. While romance is popular throughout all the seasons, people particularly enjoy some spooky suspense during the month of October. 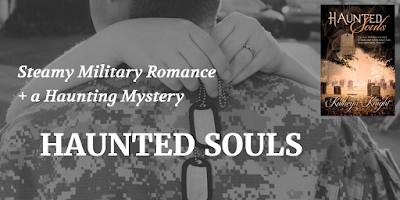 So, my publisher has put my newest release, HAUNTED SOULS, on NetGalley for the month. 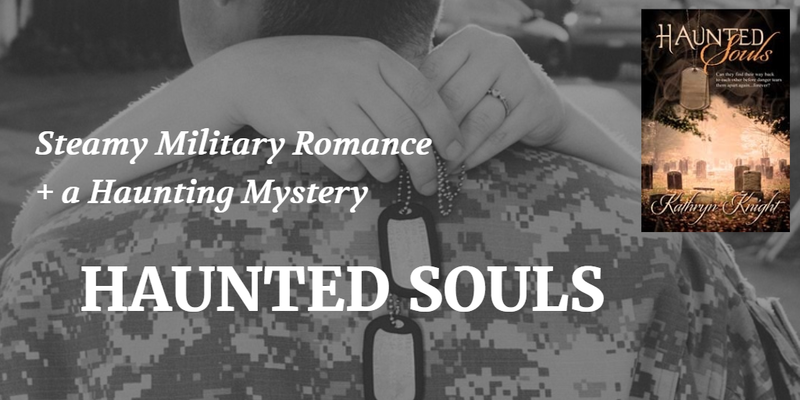 If you’re a member, you can request this military romance mixed with a ghost mystery here. It can be challenging to get reviews in this crowded market, so I’m excited to have this opportunity to connect with readers who also review. 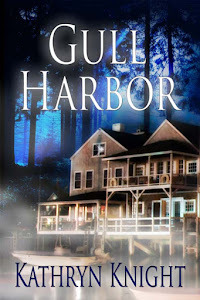 Paranormal Romance as a genre can incorporate a lot of topics, and I think Haunted Souls, like Silver Lake and Gull Harbor, would be best classified as “Paranormal Romantic Suspense”. 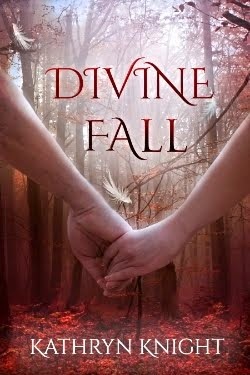 These books differ from a lot of regular Paranormal Romance in that the main characters (the hero and heroine) are human. The supernatural piece comes in as a haunting…and the desperate spirits will not rest until things are made right. The inspiration for this story came from a visit to the Old Jail in Barnstable Village, Cape Cod. 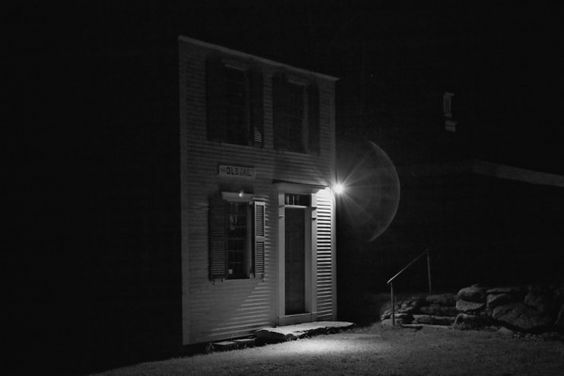 It’s the oldest wooden jail in the country (circa 1690) and considered actively haunted. So there is a bit of history in this book too, as well as a cameo appearance by Claire Linden, the psychic medium from Gull Harbor. Thanks for coming by! 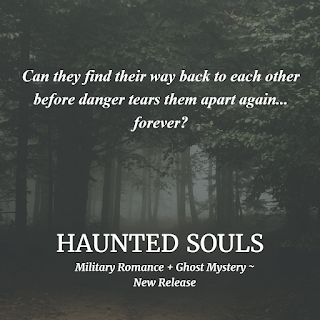 I hope you’ll give Haunted Souls a try, whether it’s via NetGalley or on Kindle or Nook. A perfect way to gear up for Halloween – Happy Reading!